the 12-day moving average is higher than the 26-day moving average. plotted on top of the MACD indicator. 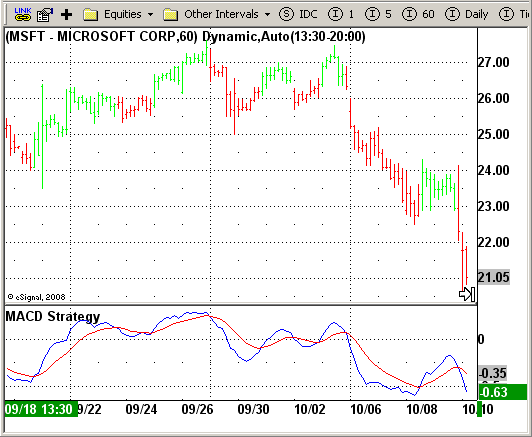 This line is referred to as the "signal"
(i.e., the movement of the MACD toward the zero line). supply/demand lines) as they occur.